When you read about clothing in the 20s and 30s, women's clothing is alternately referred to as dresses or frocks, and sometimes gowns. Now, I know what a gown is, but I did sometimes wonder just what is the difference between a dress and a frock. Turns out there really is a difference. "it might be said that a dress is an outer garment for women and children, the term applying to simple or complicated constructions, whether made in one piece or of a separate waist and a separate skirt, in harmonizing materials. A frock in the modern acceptance of the term is an outer garment for children and young women that is smart as to combination of style features and in harmonious keeping with prevailing fashions. 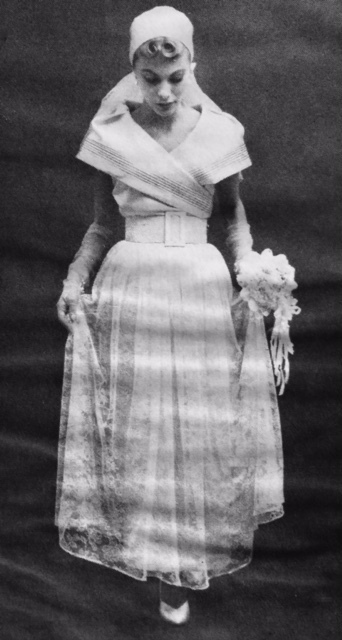 The term gown is used in referring to elaborate court dress and outer garments for ceremonial or ecclesiastical wear, such garments being made in long, flowing lines and of elegant fabrics, elegance being the paramount thought. The term gown refers also to an outer garment for women that is either close or loose fitting, rich in fabric, and beautiful in line, the term being particularly applicable to all dresses with trains." "A dress may be made of gingham, muslin, taffeta or chiffon, that is, of cheap or expensive material, and yet be properly called a dress. In speaking of such a garment for the mature woman, it would seem that the term dress is most befitting; but in referring to the young miss or the young matron, especially if it is attractive, bespeaks a correct assemblage of style features, and carries a suggestion of the prevailing mode, it may be correctly called a frock, because the very smartness of the name gives a clear mind picture of the actual garment. 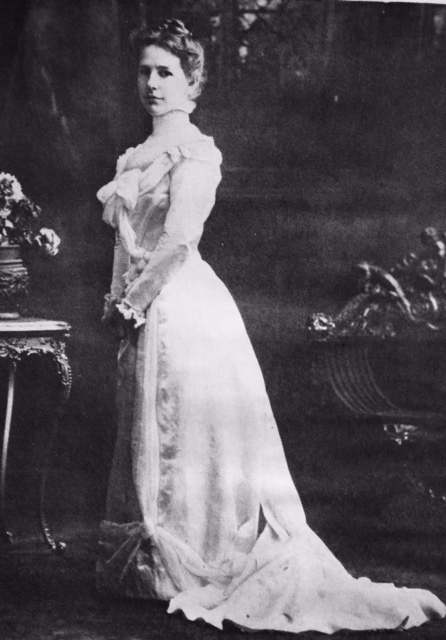 The word gown, however suggests drapery, long flowing lines and stateliness; it would indeed be very inappropriate to refer to a garment developed in dignified line and of exquisite fabric by any other word except gown." To be sure, even Ms. Brooks Pickens said that the words were defined in different ways by different people during this time, so it's no wonder that we are confused now. 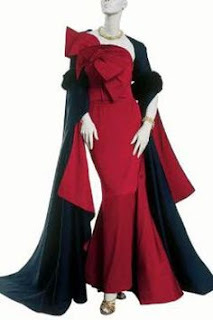 Gowns are gowns, especially if they have a train, so I don't think that's very confusing. From her definitions, it sounds like a frock then would be what we call trendy now, and would only be seen on girls of a certain age. If you were "mature", you would never wear a frock -- it would always be a dress. I guess I'm relegated to dresses, but at least I know what a frock is now. My friend Tina of What-I-Found, posted this pattern for sale recently on Facebook. It's by Hannah Troy. This era of McCall's patterns are some of my favorites but despite selling sewing patterns for over 15 years, I'd never heard of Hannah Troy, so I went to do some research. Turns out that Ms Troy was a big designer from the late 30s until at least the late 60s. How had I never heard of her? She presented collections along with the big designers, and was frequently quoted in newspapers along with contemporaries like Alan Graham and Jo Copeland. Interesting that she flew under the radar over the years. I love her take on 60s mod fashions though. Keep in mind how outrageous it was when fashion changed from this type of style to the micro minis and such. It really was out there to think about. Ms Troy had her say though, stating rather firmly that she saw no reason to show a knee when wearing a dress. She went so far as to say that knees are UGLY. She really was repulsed by the idea. Maybe she saw my knees, but I found that to be a really interesting viewpoint. Scandalous, yes, but ugly? WOW. She went on to mention how vulgar fashion had become, because "everyone is a slave to labels. Once if you said 'I'm wearing Mr X tonight,' you were bragging. Now it's expected. It doesn't even matter if it's pretty. It must have a designer name to bolster our -- security." Think about this for a minute. This is SO true. The fashions coming out of Dior right now are absolutely atrocious, but people like Jennifer Lawrence are contracted to wear them, so out this beautiful girl walks in some of the most heinous stuff I've seen in years. She is only one example. And people like Reese Witherspoon and Taylor Swift do a sidewalk sashay in designer fashions where at least they look cute, but I'm sure are attached to contracts or at least financial reimbursements. Back in Ms Troy's day, I'm not sure that it was the case that the stars were paid to wear the fashions. This was an era where women were just starting to be loaned garments to wear to red carpet functions -- before this, they had to come up with their own stuff. It was considered vulgar by many to brag about what designer you were wearing. Now the stars get PAID to wear them, and they have to be sure to get it in when they are interviewed. "Who are you wearing tonight" tends to be one of the first questions the stars are asked now. And yes, it doesn't even matter if it is pretty stuff, as long as it has a name attached to it. I have to agree with Ms. Hannah. It's just plain vulgar. Your thoughts? Jacques Fath was a genius of fashion, whose life was cut short by leukemia in 1954. The dress, an example of his genius, is from the Fall/Winter collection he showed in February, 1951. It was termed "fiance du diable", or "devil's fiance." I guess it's pretty obvious why, yes? 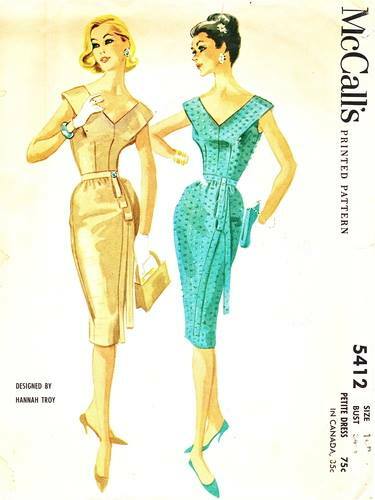 Labels: 1951 fashion, Jacques Fath, vintage clothing, vintage fashion.